I'm so excited to have gotten my little paws on Zoya's new Fall 2012 collections to be able to show them to you. Zoya has released three collections inspired by New York Fashion Week and they include Designer, Diva and Gloss. Three of the shades in these combined collections were originally custom creation for fashion designers. Overall I'm so impressed with this collection and I love the smokey/dusky look to the shades. It is a nice quality to these polishes. The formula on these creams, other than Rekha, is the same. Smooth application with two coats for full coverage. Rekha has a bit of a jelly look to it, so it takes three layers to build up for full coverage. Personally, I love fall shades because they can be worn year round and unlike bright neon summer shades, the are generally work appropriate. I would love to know what you think of these. Any favorites picked out? hii, do you wear false nails? how do you get the finish so good? thanks for the review! I think I might need all of these... being a New Yorker , I wear mostly dark colors all year long and nailpolish is no exception. @Simona, Natty is beautiful! You will love it. 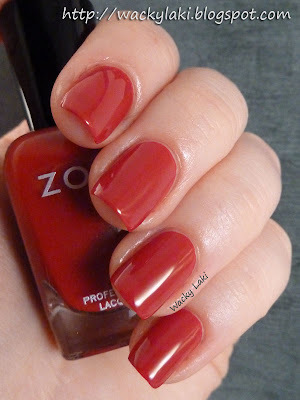 Do you have any stores or salons in your area that sell Zoya?